Back in October we debuted exclusive research in partnership with Forbes Insights on how 500+ marketing execs from brands and retailers are working on data strategy, challenges, and opportunities. We followed up the release of the report with a webinar featuring Criteo’s VP of Corporate Marketing Leah Holzmann Glass and Forbes Insights’ Chief Insights Officer Bruce Rogers. Almost 4 out of 5 brands and retailers use customer data as a part of their business strategy – and are successfully collecting and using data across channels and phrases of the buyer journey. Brands are concerned that physical-digital giants will limit access to their products, and retailers’ top worry is that this trend will cause consumers to turn away from smaller retailers. Pooled data assets are a way to gain a competitive edge in this changing market. Three-fifths of those surveyed are already collaborating on data, and 7 out of 10 of those companies are happy with their agreements. But the question remains: how can you better engage with customers through that data? The report examines the top three data management challenges for retailers and brands, with 66% of retailers and brands concerned about ensuring the quality of their data. 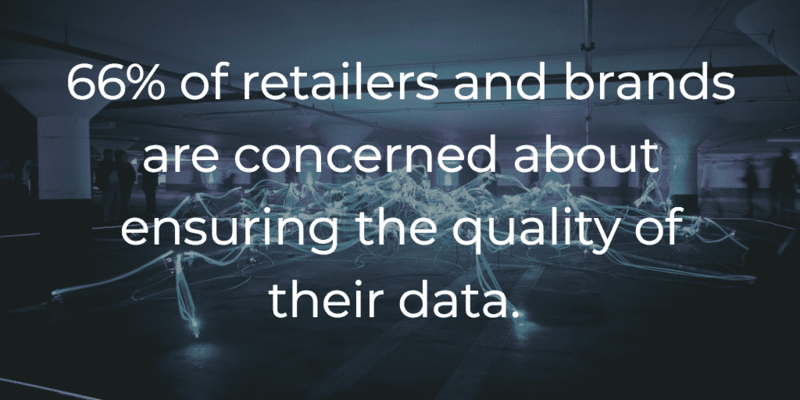 Retailers are overall more concerned than brands and manufacturers about ensuring data quality, but less concerned than brands about collecting the amount of data needed to better understand their customers. This could be because retailers have transactional data that brands don’t have, since shoppers are interacting with brands in stores, on computers and across devices. Which adds another layer of complexity to an already complex situation. 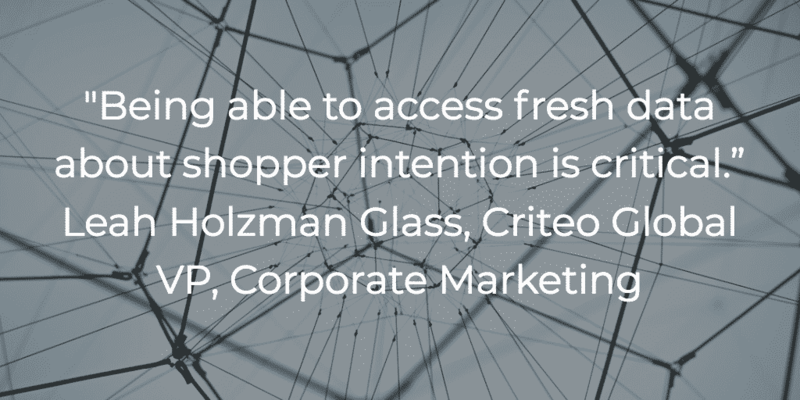 In order to connect the dots and deliver a seamless omnichannel shopping experience, businesses need access to consistently refreshed intent data. This is the data that tells you what shoppers are doing in the moment. And many companies are feeling the challenges coming from Amazon and other tech giants, which control massive amounts of shopper data behind walled data gardens. Half of the marketing execs interviewed by Forbes Insights felt that tech giants limited access to not only the company’s products, but also customers (41%). And 38% of respondents said that walled gardens allow garden owners to dictate terms and services. So what’s a non-tech giant retailer or brand to do? It all comes back to data. And not just any kind of data, granular data. Glass cites two success stories of companies who, using Criteo’s data pool and technology, increased sales and customer reach. 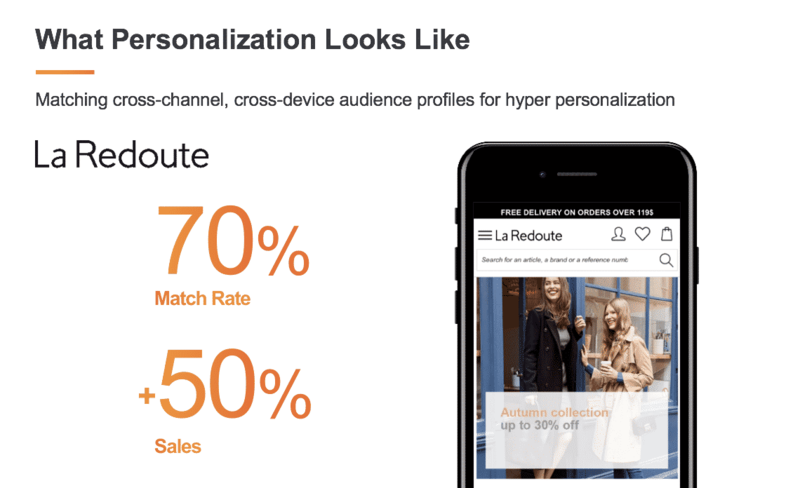 French multi-channel retailer La Redoute partnered with Criteo to match cross-channel, cross-device audience profiles for hyper-personalization for a 70% match rate and a 50% increase in sales. New Look, a British global fashion retailer, wanted to engage with a wider audience. 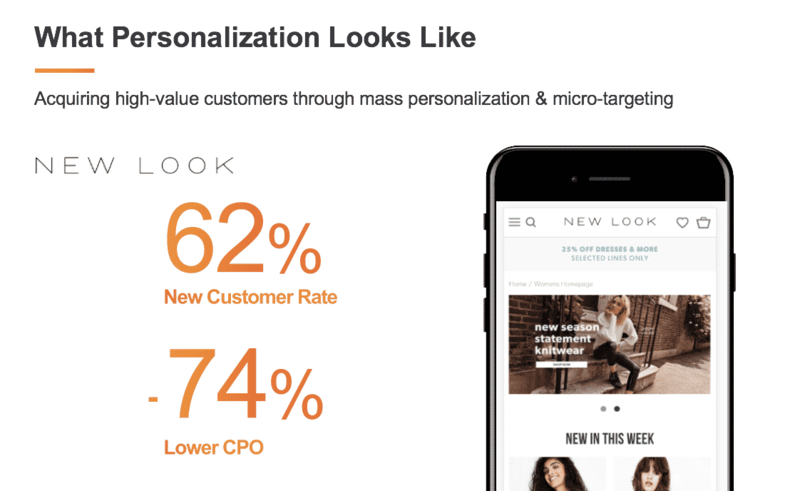 The team sought to bring relevant new shoppers to convert into customers and used Criteo’s data and technology for mass personalization and micro-targeting. They increased new customers by 62% and lowered their CPO by 74%. Our research with Forbes Insights found that marketing execs understand the importance of data, but are challenged by fragmentation and walled gardens alike. Imagine a world where you could pool your data, and gain access to data from other retailers and brands. Then, using technology to identify opportunities within this larger data pool, you can deliver more customized, relevant offers to shoppers. That starts by pooling non-identifiable data assets, which is why three-fifths of the marketers surveyed said they already have some kind of data collaboration initiative in place. 72% of respondents believe it will lead to increased revenue. 65% believe it will lead to increased profits. 56% believe it will increase customer satisfaction. In a connected world, online is offline. Brick and mortar isn’t dead, but it’s changing. And any retail strategy should be data-driven. By matching shoppers across channels and using data to personalize the experience, you can create a commerce marketing strategy that offers relevant content and offers at every touchpoint. Connect – connect online and offline experiences. Build – build the relationship across the whole shopper journey rather than on any particular channel or device. Measure – measure performance, which directly drives sales and profits. Watch the webinar here and download the full report below!